The motion was made in a petition signed by Senior Police officers holding the rank of commissioned officers. A copy of the petition, dated 25 October 2016 written in Samoan, has been obtained by the Samoa Observer. It does not have signatures. 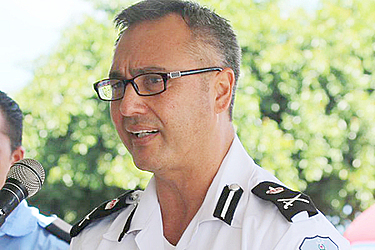 However it details the officer’s concerns about how the Ministry of Police is being run, especially on issue about law and order in Samoa to which they believe are being influenced by American-styled policing. “Honourable Prime Minister and Cabinet, we are currently in a state of uncertainty and anxiety at the present time due to practices and changes being done within the Ministry,” a translated version of the petition reads. “We are deeply saddened and grieved by the fact that we have worked and offered ourselves to do Police work for so long and one that we made a vow to God for, but there have been so many complaints and allegations now made against the Police, especially with all the problems that the Ministry is now embroiled in. 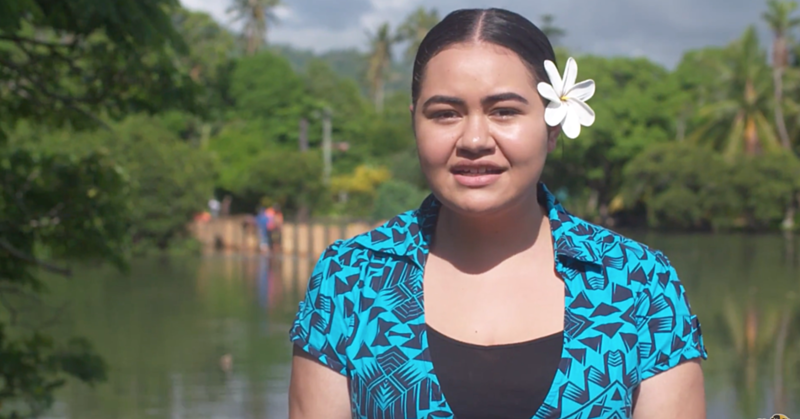 “This is due to the fact that there is no connection between the laws of Samoa that Police men and Police women were trained in to do their work, and the laws of America (L.A.P.D.) that are now being used. "The petition submitted through the Minister of Police, Sala Fata Pinati, raises a number of concerns about the performance of the suspended Commissioner. • Concerns about the handling of several matters involving officers within the Ministry of Police by the Police Commissioner. • His failure to ask for advice from members of the Management regarding serious matters that need to be discussed within the Management, but he makes his own decisions. • Rude and unacceptable behaviour and using the Prime Minister’s name to justify his orders to threaten the staff to do what he wants. • He ignores and doesn’t respect the Minister’s voice or a plea from the Minister in many matters where the Minister has advised to try and discuss and sort out in light of our customs and traditions, but he doesn’t use these. “We end our letter by saying: We are all Senior Management and we have all signed below to act as representatives of all the police men and women of the Ministry of Police, to say that we no longer have any confidence in having susuga Fuiavailili Egon Lincoln Keil as our Commissioner,” the petition reads. “It is also our hope to stop or reduce the many lawsuits now levelled at the Ministry due to the decisions made by the Commissioner. “Honourable Prime Minister and honourable members of Cabinet, we submit this letter with humble hearts hoping that a special Commission of Inquiry will be carried out and we can provide living evidence to support our application as we have already laid out. “We hereby plead with you to consider this as we have suffered greatly and we are in need of respite from the bondages of suffering that we are currently in. We have high hopes that you will accept and consider with love and chiefly vision our plea and cry to choose justly and righteously a leader for this ministry. 1. Traditional salutations. But we will now get straight to the point of this letter. 2. Honourable Prime Minister and Cabinet, we are currently in a state of uncertainty and anxiety at this present time due to practices and changes being done within the Ministry. Some of the pioneers and heroes of this Ministry have now passed away; they were the ones who were faced with the challenge of developing the Ministry to where it is now. There were no unnecessary issues that arose regarding our service to our beloved country, day and night. All our duties that were done in the cold of night and especially the heat of day and the struggles that we faced in the past, we never complained or murmured. Why? 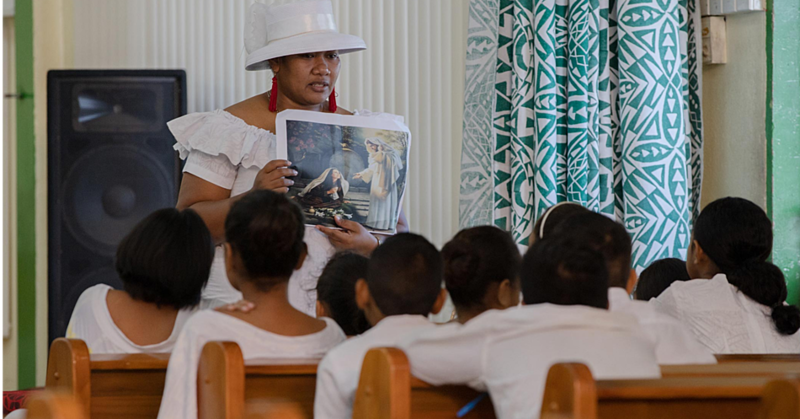 Because we were very careful and treasured the vows that we made and service no matter what, for the peace and security of the Independent State of Samoa and her people. 3.Honourable Prime Minister and honourable members of Cabinet, that is the same service that we are still continuing till now because of our desire to maintain the peace in this country. The Bible says, when you lead with an iron fist, people will suffer, but if you rule with love, people will rest peacefully. 4.The Police’s weapon is his or her mouth to convey the law and its conditions, but not to use weapons and guns because our peaceful country is not used to this. 5.Honourable Prime Minister and honourable members of Cabinet, that is now the people’s perception of the Ministry and how it is carrying out its duties; that anytime they see the Police, they automatically think that the Police are armed with guns. 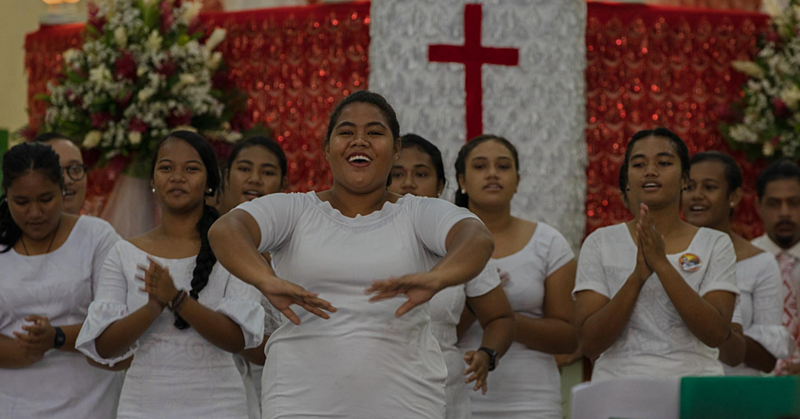 It is that thought that can lead to some people attacking the Police, and that will change the peaceful setting that Samoa and its people currently enjoy, to a conflict-ridden and divided Samoa. 6.We are deeply saddened and grieved by the fact that we have worked and offered ourselves to do Police work for so long and one that we made a vow to God for, but there have been so many complaints and allegations now made against the Police, especially with all the problems that the Ministry is now embroiled in. This is due to the fact that there is no connection between the laws of Samoa that police men and police women were trained in to do their work, and the laws of America (LAPD) that are now being used. This goes against the constitution of Samoa, like the use of guns every time the Police go out on a raid; now even being done when the Police respond to conflicts that arise in the country. 7.This is the reason why there is now a conflict because of the difference in laws used in our work as per instructions from the Commissioner, and we feel deeply ashamed infront of the Management and the Ministry, and it seems that the perception from outside is that our Ministry is very stupid or weak. But your honour and members of Cabinet, we are well equipped and knowledgeable about the laws that the Ministry should operate under in response to any matter that arises. 8.Your honour and honourable members of the Cabinet are well aware of the many incidences where the honourable Minister of the Ministry has summoned and queried the Management about the many problems that members of the public have reported to the Minister, due to inappropriate decisions that have adversely affected members of the public, that were made by the Commissioner. 9. It is with the utmost respect and humility to you, honourable Prime Minister and honourable members of Cabinet, that as per what you always advice honourable Prime Minister, “don’t be afraid to advice the Minister on what you know will benefit the Ministry, but whatever decision is made, then that’s it...”. It is because of what you have said that has encouraged us as instruments of Government, for the wellbeing and peace of our country, to do this. 10. This letter serves as our prayer and plea with our utmost respect to you, honourable Prime Minister and Cabinet, due to the many problems and inappropriate situations that have arisen ever since this Commissioner was appointed. 11. It is with respect and honour that we approach your honour and honourable members of Cabinet to say that we are not against your decision to appoint this Commissioner, but we want to humbly say that these problems that have arisen, have questioned the appointment and the competencies of this Police Commissioner that the appointment was based on, if he actually met all the requirements including being a Commissioned Officer within a police service according to the selection criteria to make one eligible to be a Commissioner. 12. This plea stems from the many problems that have affected the Ministry and have divided the staff, and it has led to the poor execution of duties of the Ministry. The decisions and unacceptable behaviour by the Police Commissioner has caused so much uncertainty and insecurity within the Ministry about what is really right. Our interpretation of the law is different from the orders given, and it has led to situations where the execution of our duties has been questioned, whether they are right or wrong. a. Issuing unlawful orders Example: i. When he gives an order for police to possess or use guns for a raid but we know very well that is against the law. We also advise him, but he doesn’t accept it. ii Inappropriate changes he has made such as orders from the Government that he has rejected and changed according to his own authority such as the list given below; 1. Police salute given to relevant people. All police officers salute high ranking officials but the Commissioner doesn’t. 2. His disrespect for the uniform that identifies his high ranking position of Commissioner for the Ministry of Police of Samoa. 3. Different sections all have different uniforms now, even the hats now being used are like picnic hats. b. The Commissioner really does not understand the law especially those pertaining to the Constitution Example: i. Using a gun without a warrant (Police Powers Act 2013, sec 13A) ii. Using a firearm for any special operation or raid to any place where marijuana is suspected to be at, even for operations that don’t require it (low risk/no threat) iii. No warrant to use guns iv. Being armed with machine guns, which are not permitted under the law, during police special operations v. His use of unlawful weapons during police special operations vi. His registration of firearms that are not permitted under the law so that they can be brought into the Ministry during the Gun Amnesty 2015 vii. His registration of firearms without permission from the Minister c. Conduct within the office through language used. Demeaning remarks, and no respect shown towards other members of the Ministry, which has ruined the good reputation of the Ministry. Example: i. Language used in the office, especially during meetings where he swears and uses inappropriate language if you consider Samoan customs and traditions, as well as being threatening and rude infront of police superintendents, which has hurt feelings and has taken away the zeal to do the job properly. d. Abuse of Power Example: i. Using his power as Commissioner to unlawfully arrest people which is the reason why there are now a lot of lawsuits filed against the Ministry ii. Issuing orders to charge everyone who is arrested, even for offences which does not have the legal power to detain anyone but just to summon. f. Changing decisions from the Board regarding the promotion panel but he doesn’t have any legal or procedural powers to do so, and choosing only Police officers he likes. j. His failure to ask for advice from members of the Management regarding serious matters that need to be discussed within the Management, but he makes his own decisions. m. Rude and unacceptable behaviour and using the Prime Minister’s name to justify his orders to threaten the staff to do what he wants. n. He ignores and doesn’t respect the Minister’s voice or a plea from the Minister in many matters where the Minister has advised to try and discuss and sort out in light of our customs and traditions, but he doesn’t use these. o. Not even long into his term, a big negative impact has been observed regarding the Ministry in light of the many complaints and lawsuits brought against the ministry and it has brought shame and embarrassment to the ministry. q. He has made it a habit to look down upon the Honourable Minister and the Government, which is evident in what he says and he compares Samoa to America. r. Vote of No Confidence i. We end our letter by saying: We are all Senior Management and we have all signed below to act as representatives of all the police men and women of the Ministry of Police, to say that we no longer have any confidence in having susuga Fuiavailili Egon Lincoln Keil as our Commissioner. ii. It is also our hope to stop or reduce the many lawsuits now levelled at the Ministry due to the decisions made by the Commissioner. 14. Honouorable Prime Minister and honourable members of Cabinet, we submit this letter with humble hearts hoping that a special Commission of Inquiry will be carried out and we can provide living evidence to support our application as we have already laid out. 15. We hereby plead with you to consider this as we have suffered greatly and we are in need of respite from the bondages of suffering that we are currently in. We have high hopes that you will accept and consider with love and chiefly vision our plea and cry to choose justly and righteously a leader for this ministry. We believe that there are people within the Ministry who have the vision and foresight to steer the helm of the Ministry for its benefit as we head towards the future especially for the safety of Samoa and its people. 16. May God bless your honour and the honourable members of Cabinet, and keep you in body, mind and especially in spirit according to Christ. May God also bless Samoa and its people as well as the Ministry of Police. Attachments: - Investigation into firearms collected during the Gun Amnesty 2015-2016 - Statement about his being armed with unlawful firearms - Statement of him registering unlawful firearms without any permission from the Minister of Police - Evidence of him issuing unlawful orders to kill someone - Copies of photos and statements from witnesses about some of the matters mentioned above.